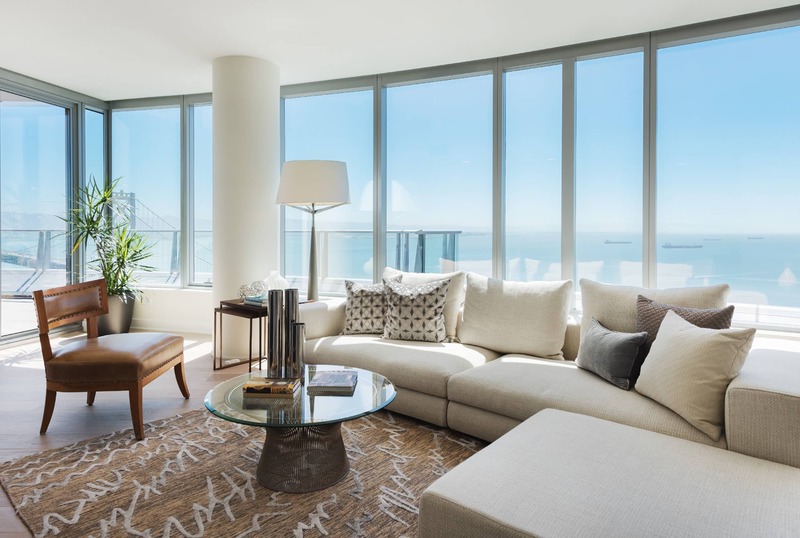 Discover elegance and modern penthouse sophistication in the heart of San Francisco’s most vibrant waterfront neighborhood as envisioned by world-renowned architect Bernardo Fort-Brescia of Arquitectonica. 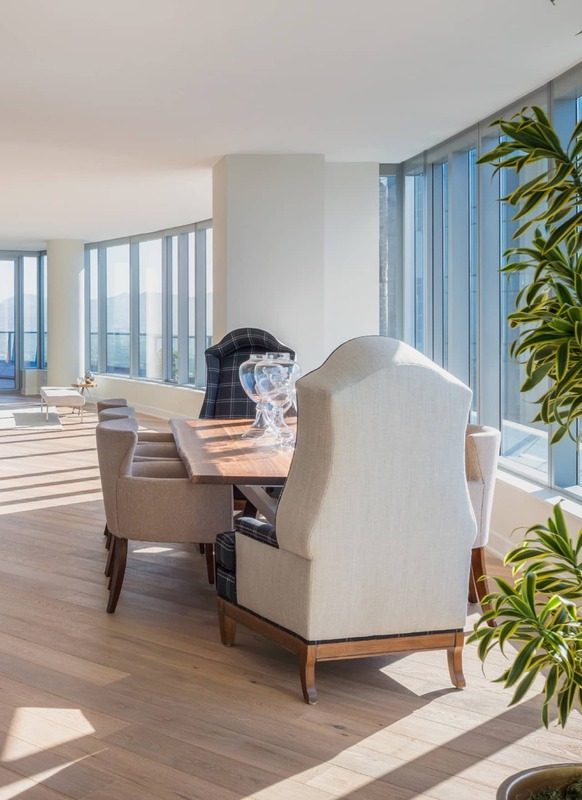 LUMINAs most elevated residential offering, the two Tower B Penthouse homes span ~5,200 square feet and ~5,700 square feet. Each spacious home spans two stories with one residence featuring 360-degree views of downtown and the bay, while the other home offers 270-degree views of the South Bay and the Peninsula. 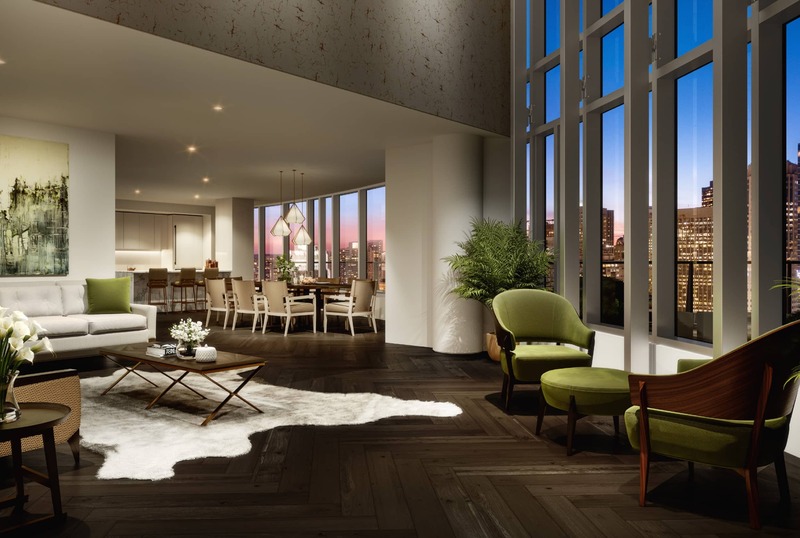 Each double-height penthouse features between ~280-290 linear feet of glass curtain wall throughout the entertainment spaces, 18-foot ceilings, three outdoor decks, and the potential for a roof deck buildout. These penthouse residences make hosting guests a pleasure. As a fully-customizable shell opportunity, each design decision is yours, ensuring a tailored experience in every detail. 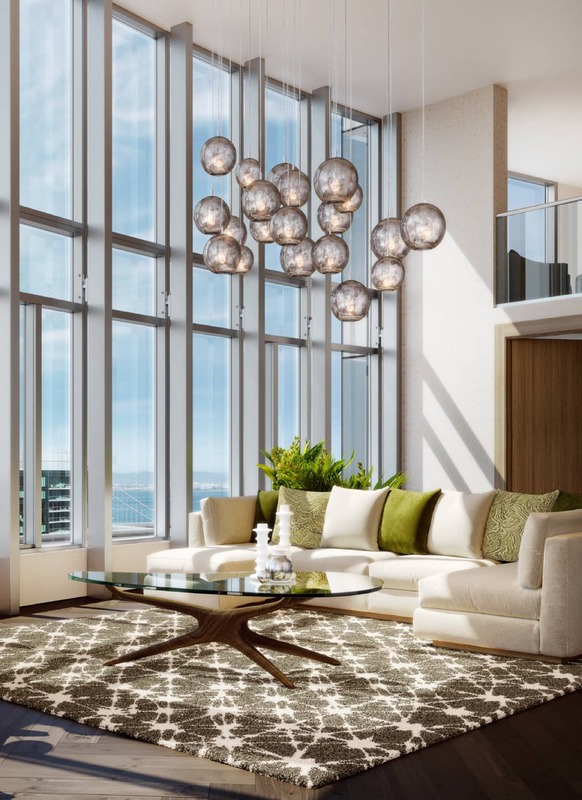 Discover the most refined address San Francisco has to offer at the very peak of LUMINA. Each spanning half of LUMINAs 36th and 37th floors, these Penthouse Terraces are the pinnacle of refinement in the center of it all. 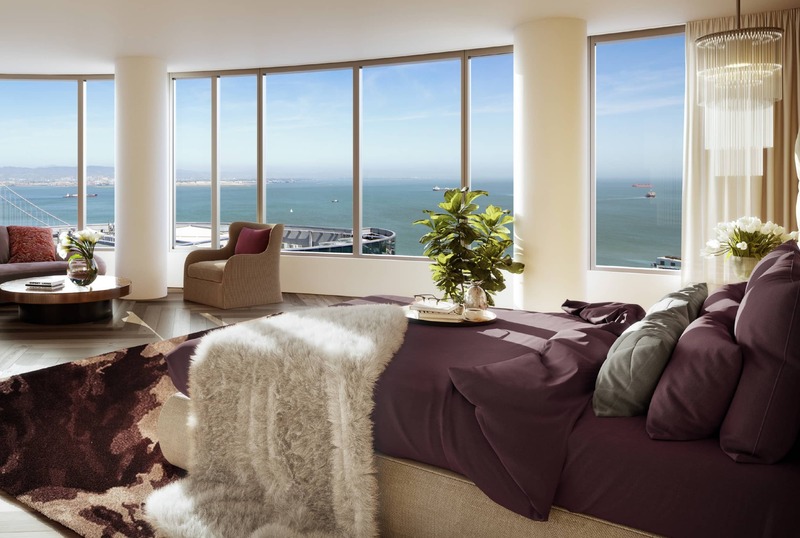 Discover these 3-bedroom, 3.5-bathroom residences offering 180-degree views and ~300 square feet of outdoor space in which to take in the expansive city and bay vistas. 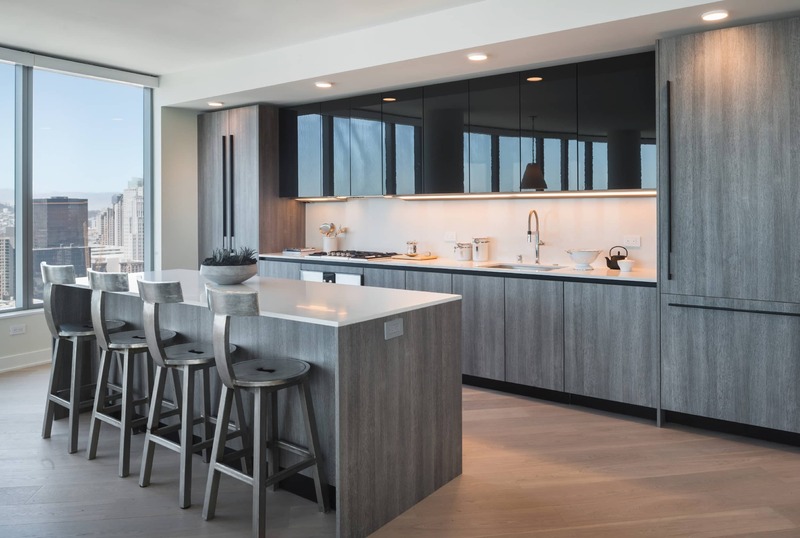 Outfitted with carefully curated modern finishes and technologically advanced appliances of the highest caliber, these Penthouse residences make entertaining guests a pleasure. The spacious pantries include two Gaggenau wine refrigerators and custom walnut cabinetry with soft-close drawers and Caesarstone® countertops. The elegantly designed wet bars include a Gaggenau wine refrigerator, custom SieMatic cabinetry, and are finished with a Caesarstone® countertop. Thoughtfully selected DuChateau hardwood flooring in a fresh, modern Lugano palette sets a tranquil backdrop throughout. Completely built out to meet LUMINAs meticulous specifications, this sophisticated Penthouse home is the pinnacle of brilliant living.